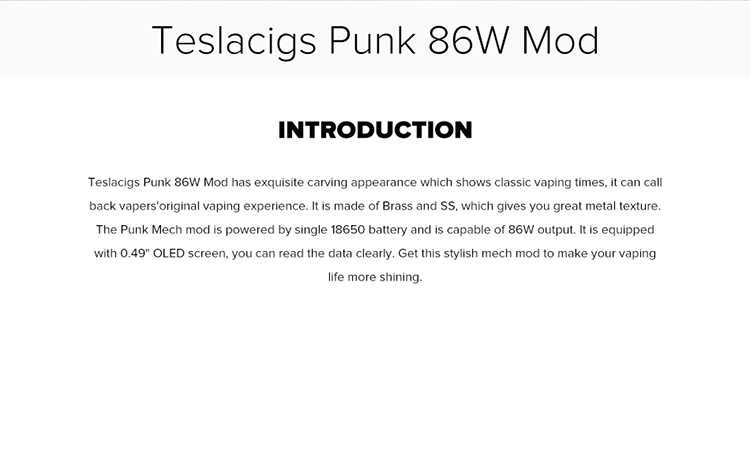 Teslacigs Punk 86W Mod has exquisite carving appearance which shows classic vaping times.The Punk mod is powered by single 18650 battery and is capable of 86W output. It is equipped with 0.49" OLED screen, you can read the data clearly. 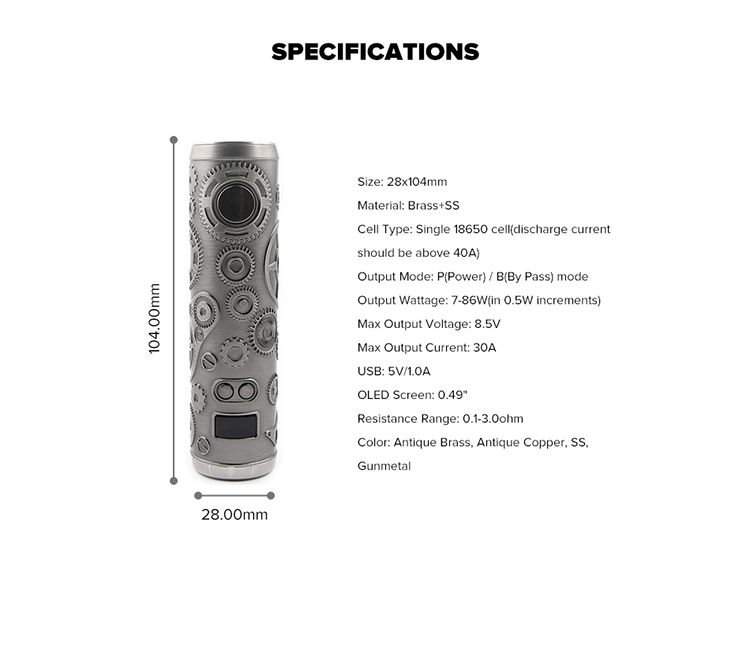 Teslacigs Punk 86W Mod has exquisite carving appearance which shows classic vaping times, it can call back vapers'original vaping experience. It is made of Brass and SS, which gives you great metal texture. 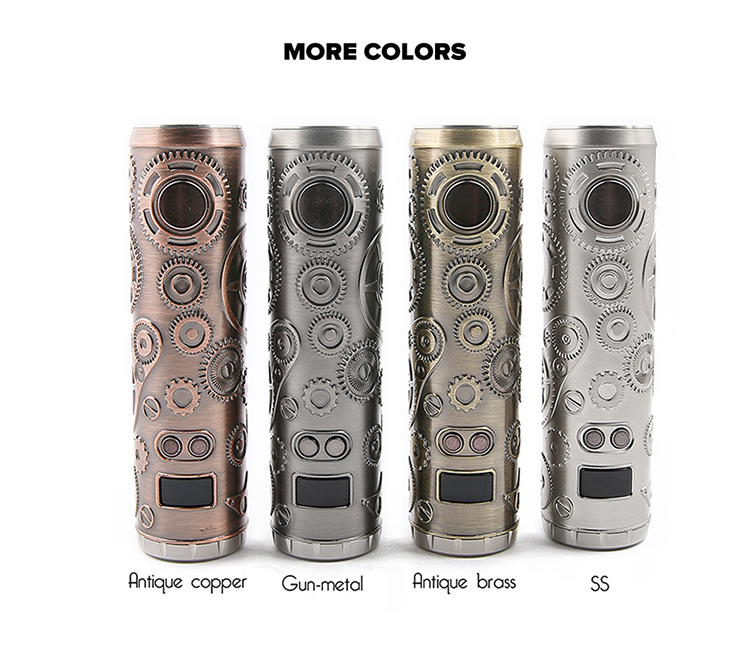 The Punk Mech mod is powered by single 18650 battery and is capable of 86W output. It is equipped with 0.49" OLED screen, you can read the data clearly. Get this stylish mech mod to make your vaping life more shining. Looks very cool, i bought it for my dad, he loves so much.